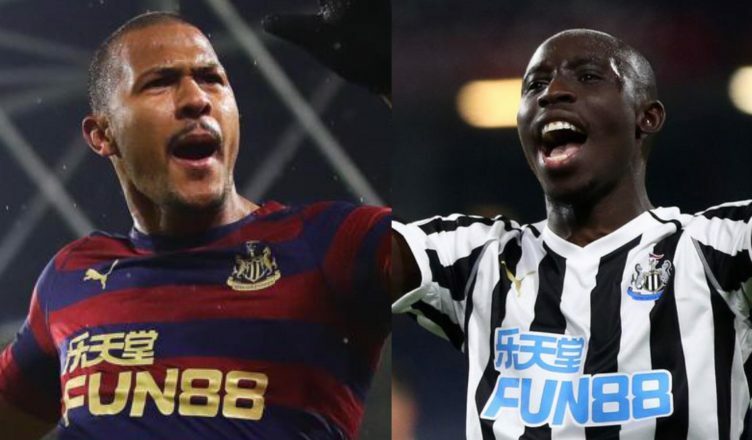 Club reporters offer update on Rondon & Diame’s futures – One to go, one to stay? – NUFC blog – Newcastle United blog – NUFC Fixtures, News and Forum. The Chronicle’s Lee Ryder believes Lee Charnley and Mike Ashley will NOT pay West Brom’s asking price for Salomon Rondon unless he significantly increases his goal tally between now and the summer. Meanwhile, fellow reporter Chris Waugh claims sources at St James’ are suggesting that the club will offer Mo Diame a new one-year contract even if he doesn’t play the required number of games (believed to be 3) to automatically trigger a new one-year deal. “It is going to be down to the board. We talk about the board, we are actually talking about Lee Charnley, Mike Ashley and maybe Keith Bishop and Justin Barnes. It is not an official board. “Does Rondon want to stay? Absolutely. He has come out on the record and said it and told them what he wants. “Will Newcastle pay the big money for him because West Brom want a decent fee? We don’t know yet. “It could be even bigger if West Brom get promoted. I am not sure of the exact complexities of the deal but the reality is: will Newcastle pay the money for a player of that age? “In the past they haven’t done that. Going forward if Rondon has 15 goals this season and makes it impossible not to do it then that could be a different scenario again. One thing that seems fairly clear is that Ashley’s approach to this deal will play a huge part in Rafa Benitez’s future at the club – not just Rondon’s. If he’s not willing to be flexible and sign a proven key player on the basis that he’s ‘too old’ and has ‘no re-sale value’ then that might just make Rafa’s mind up. “The Diame situation is quite a complex one. He will automatically trigger a new one-year deal, if he plays, we think, three more matches and then gets another year’s contract. “He wants a two-year contract but a source at the club has said they would be happy to just give him the one-year contract regardless. “They are not quite as receptive to the two-year deal given his age. Benitez would very much like him to stay. I hate to say it, but I wouldn’t be surprised if the club fail to sign Rondon permanently – although I can see Mo staying for another season. Diame turns 32 in a few months time so I can see why the club may be reluctant to give him a two-year deal on this occasion, however he has proved recently that he can still do a very solid job in this team. Personally, I’d love to see both stay. There’ll barely be a Newcastle fan out there who isn’t keen to keep Rondon at the club, but Diame’s attitude and role in the team as a midfielder spoiler tell me that he still has a part to play – with it revealed just recently that he was one of the top tacklers in the Premier League in 2018. For Rafa’s sake above all, let’s hope both of their situations are resolved and that both them and Benitez are here next season.